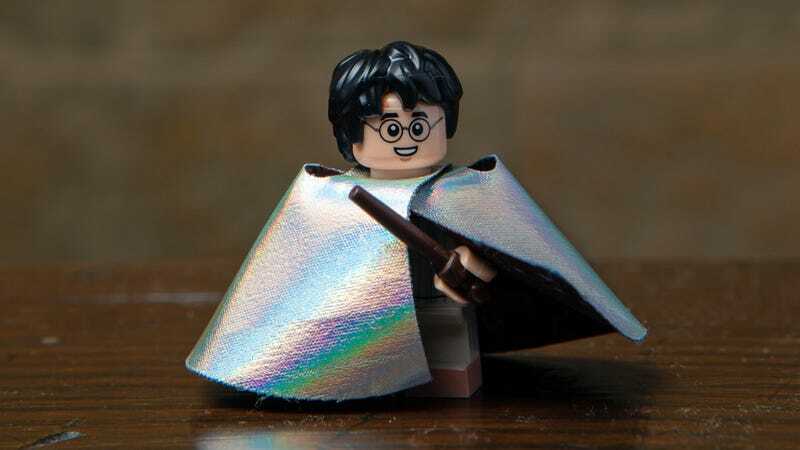 It’s time to hone your squeezing and feeling skills because Lego’s next blind-bagged minifigures collection arrives August 1 with 22 new characters from the Wizarding World of Harry Potter. If only “Aparecium,” the revealing charm, worked on tiny foil bags, too. Drawing from the Harry Potter books and movies, the new collection includes minifigure versions of Ron, Hermione, and Harry in school robes, Draco in Quidditch robes, Dumbledore, Luna Lovegood, Neville Longbottom, Cho Chang, Dean Thomas, Lord Voldemort, Dobby, Cedric Diggory, Mad-Eye Moody, Professors Trelawney and Flitwick, and an alternate, but no less fabulous version of Potter in pajamas and his flashy invisibility cloak.